Sing a long to the songs you can’t get out of your head from your new favourite musical! Fancy dress encouraged, participation and enjoyment essential! 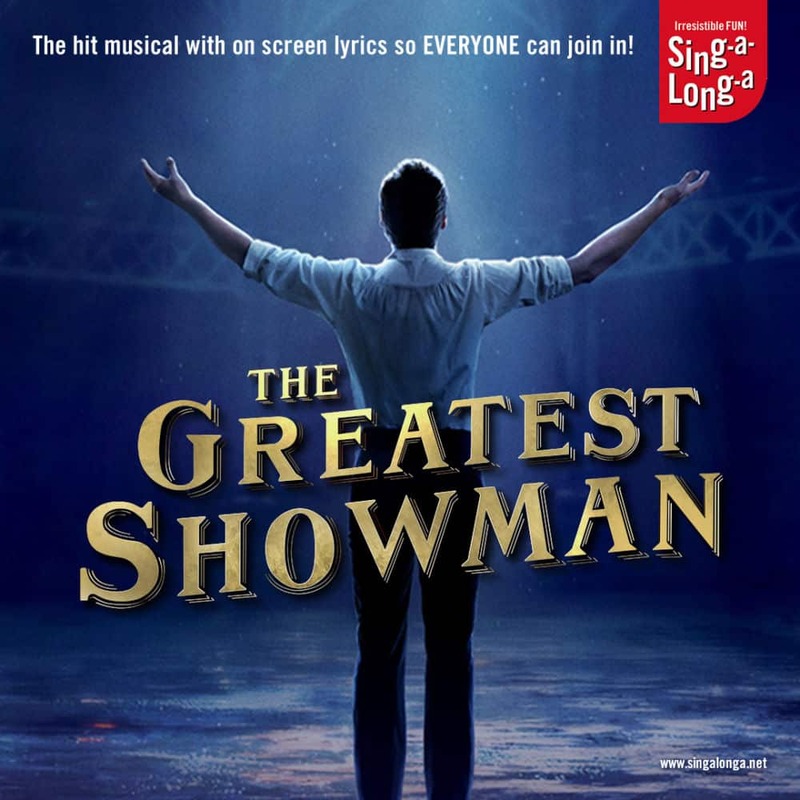 Singalonga Productions, producers of Singalonga Sound of Music and Singalonga GREASE, bring you their newest show, the smash hit film musical that everyone can’t stop singing – The Greatest Showman! Cheer on Hugh Jackman, lust after Zac Efron and hiss Rebecca Ferguson (…or maybe not) as you experience The Greatest Showman in the greatest way possible – with lyrics on the screen so you can join in as loud and proud as you want. And it’s marching on to the beat we drum… Our live host will teach everyone a unique set of dance moves, show you how to use our interactive prop bags, and also get you to practice your cheers, your boos and even a few wolf whistles. It couldn’t be easier or more fun! Fancy dress is strongly encouraged and full audience participation essential. YOU the audience will rewrite the stars!